Publisher: Universal. Developer: Naughty Dog. Sequels should be an opportunity for developers to fix flaws and issues gamers had with the predecessor. Crash Bandicoot, while commercially successful and pretty darn fun if you could stomach it, had plenty of issues, such as a cumbersome save system and unbalanced difficulty. Naughty Dog, thankfully, took to heart the legitimate issues that CB had and has pretty much fixed them within Crash Bandicoot 2: Cortex Strikes Back. A great sequel held back from the upper echelon by some mildly noticeable problems, anyone who has a remote passion for platforming would do well to take interest. A light premise sets up CB2. After failing in the first game, Cortex opts to utilise his enemy in order to succeed. 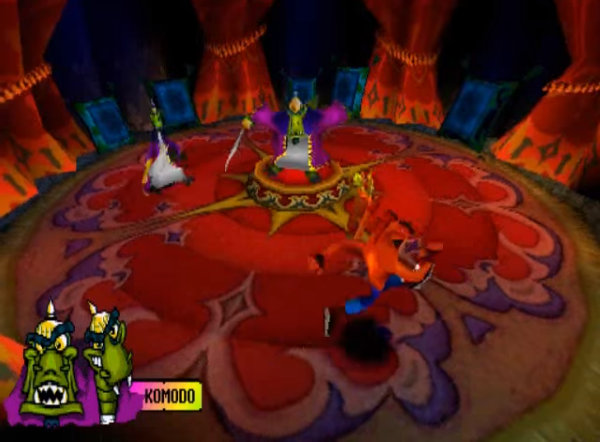 As Crash is transported away from his sister, Cortex dupes the marsupial into collecting enough crystals in order to save the world, even though it’s blatantly obvious from the get-go that he has ulterior motives. 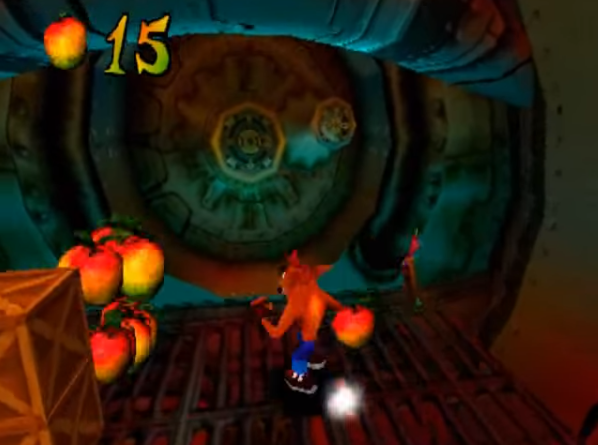 Abandoning the Super Mario-esque map from the first game, Crash Bandicoot 2 instils a warp-room hub which would become traditional not only for the series, but other platformers alike. Divided into 25 levels, each contain a single, easy-to-find Crystal as well as one-to-two gems which are more difficult to collect, usually requiring you to destroy every crate in the level. The game takes less than ten hours to brush through, but finding all the hidden gems can easily double that time, with a funny hidden ending rewarding your hard work. While not as broken as some of its peers, the original had some issues with its controls and difficulty balance. CB2 fixes many of these problems, but unfortunately, it also brings some new woes. That being said, the fixes to the core platforming are very welcome. Deaths feel less cheap, thanks to smoother controls and fairer jumps which don’t suffer from irritating slips. The challenge feels a lot smoother, as gradually more hazards and difficult enemies are added to the fray. 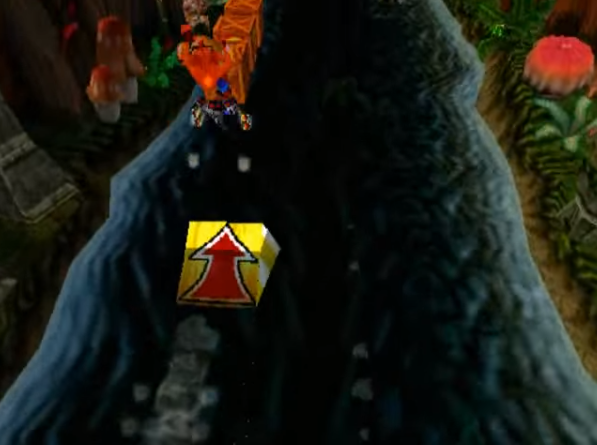 Most levels follow a similar template to the first game, with Crash navigating through levels from a perspective behind his back. However, variety is also present in the form of 2D, more old-school bonus missions hidden within each level, as well as chase missions which have Crash outrunning boulders among other things and vehicular-style missions, though the main principles remain even in the variations. Unfortunately, these fixes can be diminished by repetition. This isn’t in relation to the level design, which feels varied enough, but more so the levels themselves. It feels like there isn’t enough variation, with a reliance on similar jungle, snow and water levels. This wouldn’t be so bad if the first game too didn’t rely mostly on this, meaning it can become monotonous for those who play both games in close proximity. Some interesting levels do come into play, none the less, such as one which allows you to burrow under the ground. Enemies are wildly varied too, with new types constantly added even until the end of the game. And many require different tactics, such as utilising Crash’s slide or body slam attack, though some can be variations of the same tactic. It’s a shame the levels can lack imagination at times. They do not, however, lack visual splendour. Crash Bandicoot was one of the best looking games of the generation, until CB2 trumped it comprehensive. Animation has been upped and is a lot smoother, with highlights including endearing dances from Crash as you collect crystals and gems. Though levels can repeat, they are gorgeous in detail and the draw distance is impeccable. Enemies look great and animate well too, and other effects such as fire and explosions look top of the line. Slowdown is non-existent, and load times are great considering how much Crash 2 pushes the hardware. The sound is good in its own right, if not as impressive. The voice work is appropriately exaggerated, though not too annoying. The music, on the other hand, is great, with good new tracks and some catchy remixes of tunes from the first game. Many of the sound effects are the same, but they are still fine. Crash Bandicoot 2 is a great sequel which does what it should do: fix the problems of the first game. Gone are the frustrating deaths, piss poor save system and unbalanced difficulty curve, and instead we have a game which is smoother, more fun and friendlier. Sadly, the game can also suffer from repetition, as you can only trek through the same familiar environments before it can become a drag. But varied gameplay, smooth controls and drop-dead gorgeous visuals ensure that the ride is very enjoyable none the less, and one of the finer platforming experiences to come from Sony’s grey box. It would ultimately serve as the foundation for the finale in Naughty Dog’s trilogy, which would be the pinnacle of the developer’s legacy.